Les Paul (born Lester William Polsfuss) was a famous American musician, songwriter, inventor and pioneer of recording techniques. He was born on June 19, 1915 in Waukesha, Wisconsin to George and Evelyn Polsfuss and was of German ancestry. He was deeply interested in music from his childhood and taught himself to play the banjo, guitar and harmonica. According to some sources he had mediocre musical talent as a boy but he was persistent and learnt to play these instruments by the age of 13. While in his teens, he began playing with western and country bands as a semi professional. In his late teens he moved to Chicago and performed live on radio stations, going by the name of the Wizard of Waukesha. Other stage names include “Rhubarb Red” and “Red Hot Red” before settling on “Les Paul”. While still very young, Paul invented a harmonica holder to be worn around the neck which allowed him to play the guitar at the same time, a design that is still used by musicians today. He invented his first amplifier in his teens by wiring a phonograph needle to his guitar and connecting it to a radio speaker to amplify the sound of his acoustic guitar. Another invention during this time was the first solid body electric guitar made from a two foot piece of rail tracks. He dropped out of high school at the age of 17 to perform in a radio band. He moved to New York in the 1930s after developing an interest in jazz. He was successful as a jazz artist and performed with many of the greats including Nat King Cole, Rudy Vallee, Kate Smith and Louis Armstrong. He also formed a group called the “Les Paul Trio” which included guitarist Jim Atkins and bassist Ernie Newton as the other members. The trio regularly began performing on an NBC radio show and continued to do so for five years. Being dissatisfied with the acoustic-electric guitars prevalent at the time, Paul started experimenting in his apartment in Queens to come up with a better solution. He invented a basic design and continued to improve and innovate on this throughout the years. Although it didn’t look particularly appealing and was not warmly received in the beginning, the music world eventually realized its worth and it was embraced and admired by musicians worldwide. The guitar company Gibson hired him to design a Les Paul electronic guitar for them. The “Gibson Les Paul” has been used by the greatest musicians since then, including Keith Richards, Eric Clapton and Paul McCartney, and is still the company’s bestselling model to date. 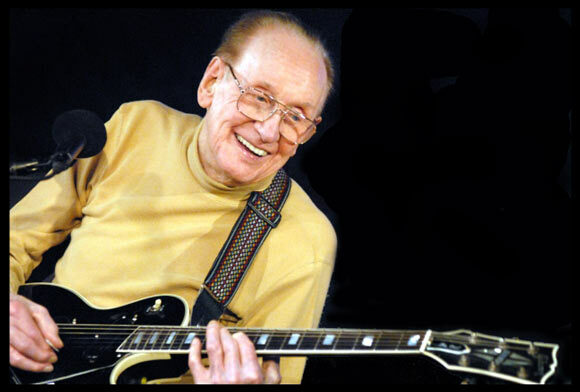 Although Les Paul had been married before, in the late 1940s, he divorced his first wife to marry a singer named Colleen Summers. He changed his wife’s name to Mary Ford and the two began to record together. Despite limited success at first, they produced numerous hits and had a television show called “Les Paul and Mary Ford at Home”. All of their recordings were produced using Paul’s own recording techniques, which he developed as the result of dissatisfaction with existing technology. Paul’s friend, singer and actor Bill Crosby, suggested that he should build his own recording studio, which he did in the garage of his home in Los Angeles in 1945. Here he experimented with a variety of sound and recording techniques and created innovative and ingenious techniques which revolutionized the music industry. Other artists and musicians flocked to his studio to benefit from his expertise. His last album was released in 2005 in which he collaborated with renowned artists such as Keith Richards, Sting, Eric Clapton and Jeff Beck and won 2 Grammy awards. He has been inducted as a primary member in the “Rock and Roll Hall of Fame” as well as the “National Inventors Hall of Fame”, the only person to have been in both. He died on August 13, 2009 at the age of 94.